Posted January 31, 2013 in Uncategorized. Thanks to Rand Hoppe for posting new upgraded Kirby pencil scans over at the Kirby Museum Facebook page. 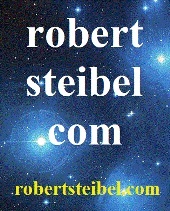 I encourage you to check it out once in awhile. There are always new things being posted there. For those of you who don’t do Facebook I’ll continue to post some of them here as well. 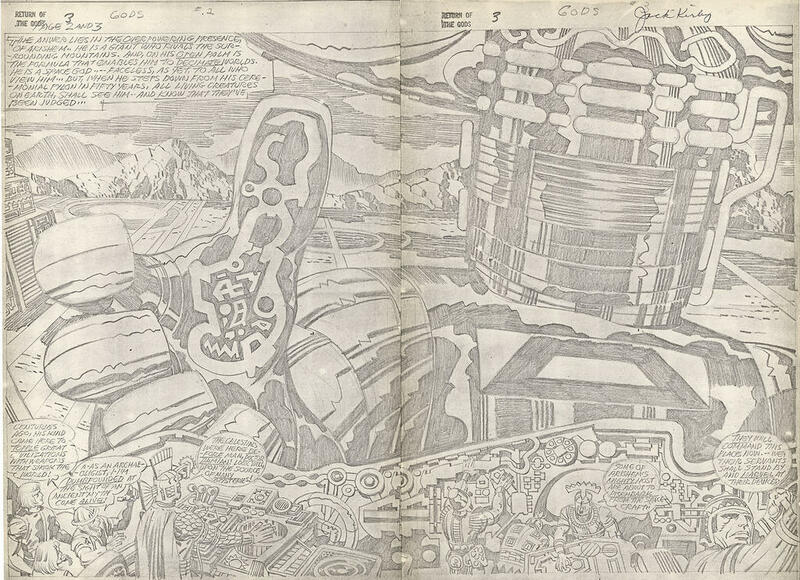 This is page 17 from “Galactus Is Born,” Thor 162, March 1969. Using film terminology, this is a great example of Jack Kirby as the uncredited Writer/Director of this page: Jack is like a movie director telling you the story with his visuals; he is the writer of the story using text to tell Lee what is happening in his story in the margins. 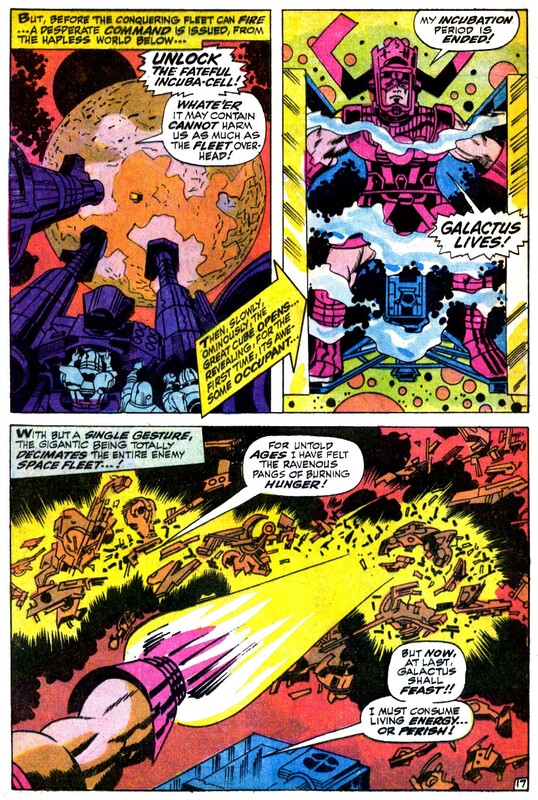 For example, notice in the final panel Jack writes that Galactus feels the urge for cosmic energy, and Lee includes that information in a word balloon. Lee just uses different words, like “living energy” instead of “cosmic energy.” I could pull a homeless guy off the street and if he followed Jack’s directions he could easily add captions to this page. If you consider Lee’s text was written after Jack wrote and illustrated the story (so for the sake of argument please ignore Lee’s word balloons for a moment) I’ve said before that in this phase of the process Jack Kirby is the Principal Author of this page, and of this story. Jack is the writer and artist of his penciled stories. 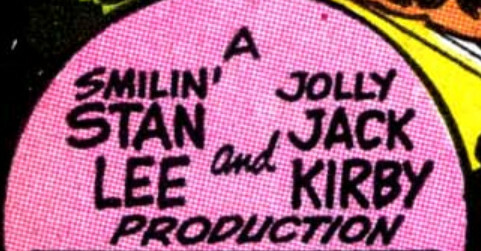 Quite frankly, considering the frustration he must have been feeling around this period, and the passion Jack had for his work, one has to wonder if Jack found the “Jolly Jack” nickname kind of annoying, if not insulting. Here is the published page. There is a lot of spectacular art in this story. The published version is vastly superior to the reprints — this is one of those rare books where the printing is pretty solid throughout this book. At least in the copy I used to own and the scans I have. Thanks to Rand Hoppe and Tom Kraft for scanning the pencil photocopies and for sharing them with us at the Kirby Museum Facebook page. To me, sharing those kinds of source documents online is one of the best ways to set the record straight when it comes to giving people accurate information so they can reach their own conclusions when discussing the Kirby/Lee authorship debate. 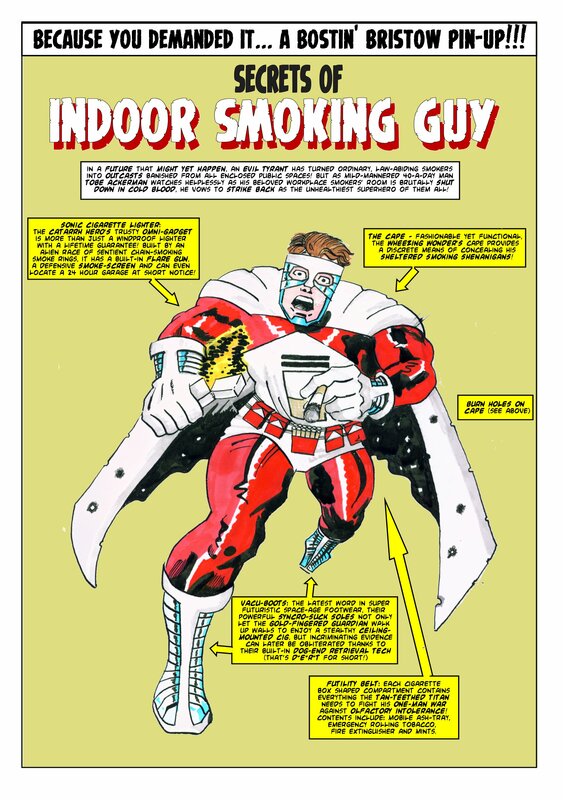 Stan Lee and Marvel may never acknowledge Jack Kirby as the creator of his 1960s characters and the Principal Author of his stories, but as long as scans like this are floating around on the internet… anyone with half a brain who sees them is going to know the truth. Posted January 30, 2013 in Uncategorized. 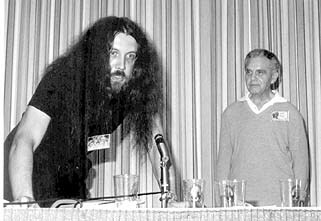 Above , the famous image of Jack and Alan Moore from TJKC. Here’s an email from Russell Payne I never got a chance to post from last year where he talks about the NICE expo last year and Alan Moore’s talk. Funny to read some of the comments underneath the video clip at the YouTube site. I get a lot of those types of emails here too. 🙂 Thanks to Russ for sending in the email and link, and sorry it took me so long to post it. I’m back from the NICE expo. Jack Kirby panel went really well, Shaky Kane (Bulletproof Coffin artist) and Biff (Ace Comics) sat on the panel with me and we were asked questions about Kirby and then took a Q&A session with the audience. There was a good turn out, more people than I’ve had on previous Kirby panels. Got a great reception and an enthusiastic round of applause at the end. Loads of people came up to me after and over the next day to chat about it and about Kirby. There’s still a lot of love out there for Jack and his work. Alan Moore’s talk was fantastic, really great, he came across very well, very affable and likeable, and I agreed with just about everything he said. He did a great bit on Stan Lee and Kirby, at one point he even says he believes Kirby wrote and drew those sixties stories, meaning Kirby’s margin notes, suggesting that Stan just added a few Thees and Thous. It’ll be interesting to see if these comments cause any ripples on the internet. 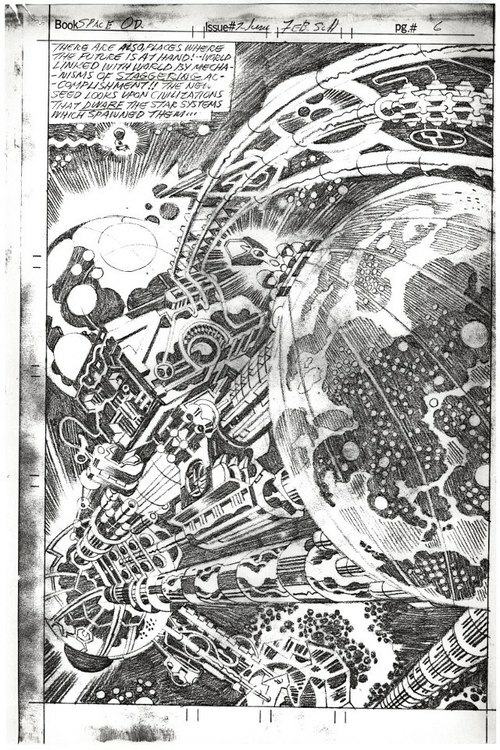 Jack Kirby – Time Traveler? Posted January 29, 2013 in Uncategorized. This does look a little like the images I’ve seen of Jack. 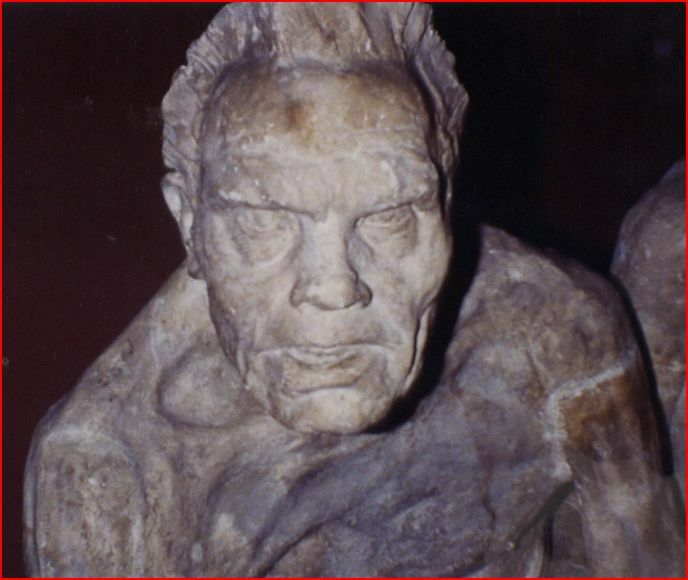 Maybe Jack traveled back in time to do some story research, and the artist of this sculpture tried to capture his likeness? You can visit the webpage to learn more about the sculpture. Posted January 28, 2013 in Uncategorized. My take on this? I wonder how many more times as the years pass will Marvel “pay homage” to Kirby… without actually paying him? Posted January 27, 2013 in Uncategorized. Posted January 26, 2013 in Uncategorized. 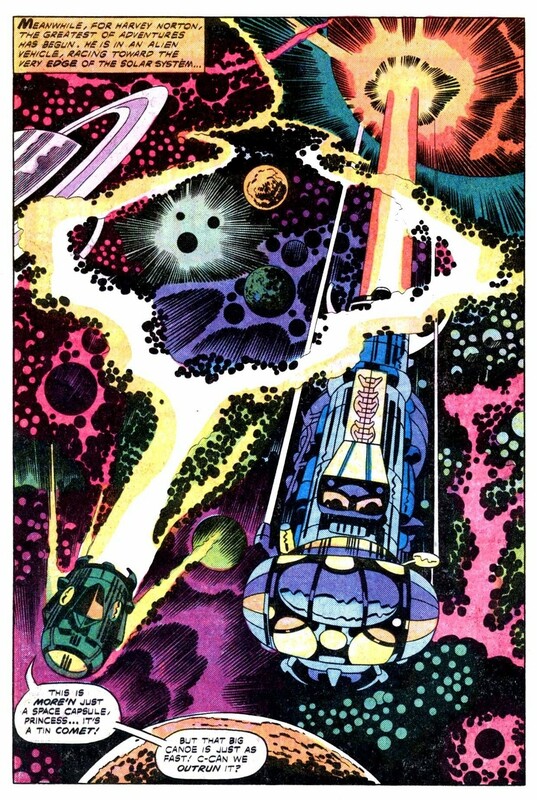 Here’s another one of the new scans Rand Hoppe posted at the Kirby Museum Facebook page. I loved this image as a kid. 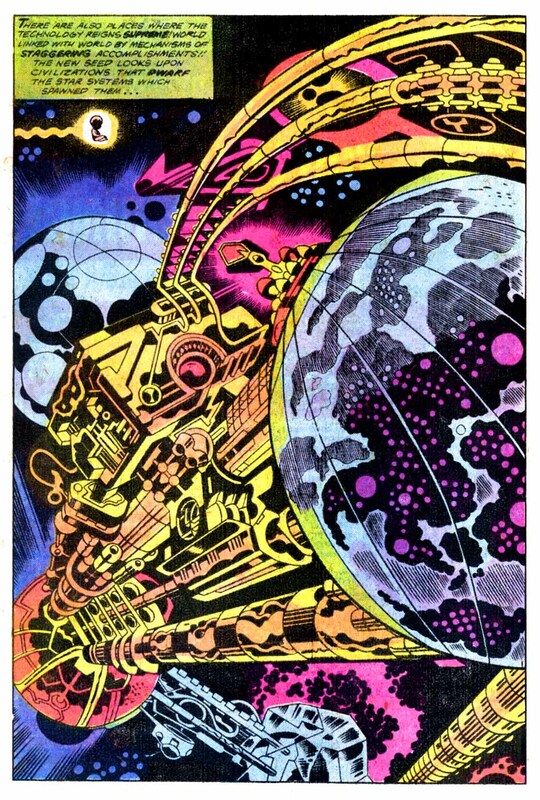 How many artists in comics in the 70s or even now could make an entire page that features nothing but machinery and outer space crackle with so much energy! When I get home tomorrow I’ll post a scan of the published page. Royer did a great job on the published version, but Jack’s linework in the black areas here gives the image so much more flow, activity and vibrancy. A lot of artists would have just put a little x in areas they wanted the inker to make all-black. Not Jack. Sketching the lines like that must have been a part of his process in terms of finding the whole image and making the contrast work. Just amazing the passion and time Jack put into a page like this when back at the Marvel offices, creeps trying to take his job away from him were calling him a “hack.” Obviously, I’m a Kirby fan so I’m a little biased, but I think this page is a flat-out comics masterpiece. Kudos to the Kirby Museum for making these scans. I’m not sure how the first batch of pencil-photocopies were made — maybe TwoMorrows used a xerox machine? But clearly these scans are superior. I’m glad we can see the whole page now as well. 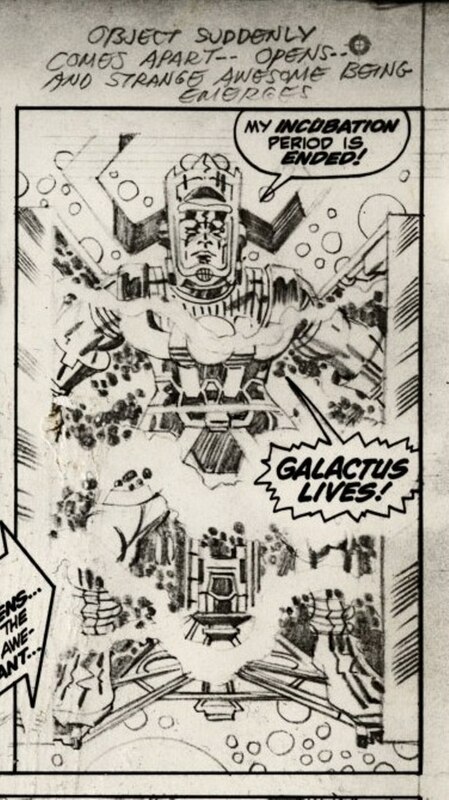 TwoMorrows should really consider doing an entire issue of TJKC featuring these types of scans that are more like photographs so we can see the subtleties of Jack’s pencils a little more. To me, this is like seeing brand new Jack Kirby art. One more request to the Kirby Museum: looking at the scan I posted on 01/24, it looks like you all may have cleaned that up a little? Maybe you changed the color setting to make the image black and white? If you folks tweaked the image, please don’t do that. Please show the actual scans like I assume the one at the top of this post is — that scan, although pretty awful in terms of it’s low resolution, is by far the best example of one of Jack’s pencil scans I’ve seen published! It almost looks like a photo of Jack’s pencils. And I hope the Museum will share more of these with us — especially now while there is still a lot of interest in Jack and his work because the Marvel movies are making so much money. And of course, thanks again to the Museum for sharing these. Posted January 25, 2013 in Uncategorized. Here’s the published image with inks by Mike Royer. There is some spectacular artwork in that 2001 series. Looking at the pencils, I realize the colors on this image really take away from it’s impact. If you add a lot of different colors to that machine and add some bright colors to the crackle and speed lines for outer space, this image could be even more eye-popping. Posted January 24, 2013 in Uncategorized. 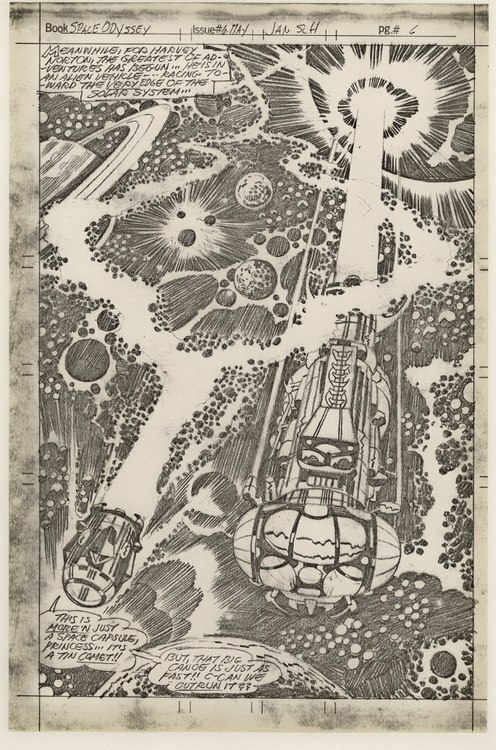 The Kirby Museum is upgrading their scans of Jack’s pencil photocopies. Here’s another great example at the Kirby Musuem Facebook page. Hopefully at some point the Museum will post these at a higher resolution. The scans online don’t need to be publication quality if there is a concern about avoiding some kind of piracy of the images, but it would be easier to really appreciate the subtleties of Jack’s pencilwork if we could zoom in a bit, plus they are already a little fuzzy to begin with. 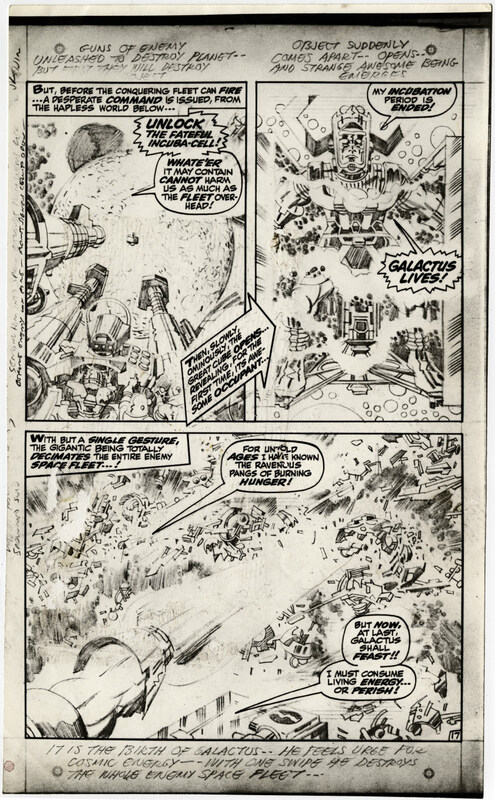 Every now and then I get an email from someone who complains about Mike Royer’s inks on Jack, but looking at these pencil scans it’s pretty obvious Mike did a terrific job remaining faithful to Jack’s work. 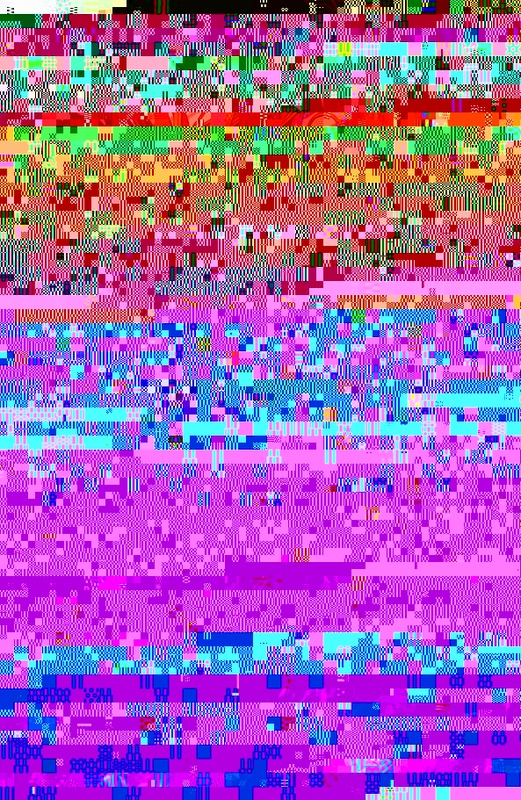 I’m not at my home computer now, but this image looks exactly like the published image to my eye. I’ll post that tomorrow and continue to empty out the mail bag. Posted January 23, 2013 in Uncategorized. Another fun piece of Kirby homage. Thanks to all of you out there who send in links to this stuff. Posted January 22, 2013 in Uncategorized. Check out the Kirby Museum’s Facebook page. Rand Hoppe has been posting some great examples of Jack’s pencil photocopies. Here’s a pretty spectacular example.